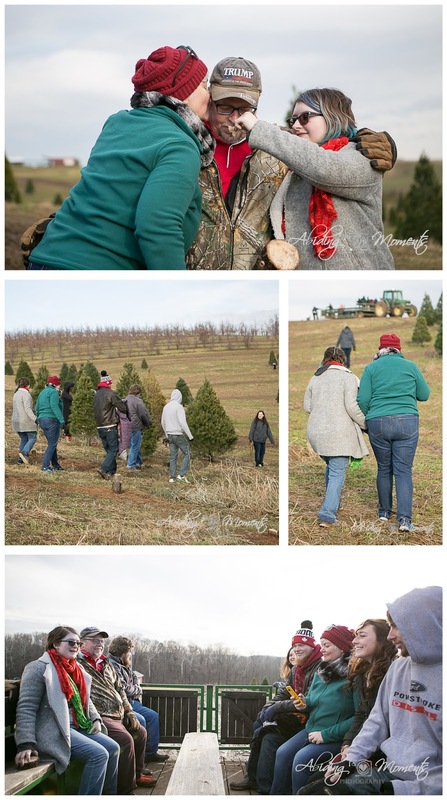 When my friend Kim reached out to me to do pictures with her family cutting down their annual Christmas tree, I was so excited. You see, Kim is in a different stage of life than me. She has spent many years building the memories I am still making and her children are all now entering adulthood. And although we may not be in the same season, we both appreciate how quickly they change. For her, the time where all of her children are together has become less and less and she knows that she is nearing the end of this season and the beginning of the next - hence a session to hold on. Right out of the gate, the boys found a great one and were ready to be done. 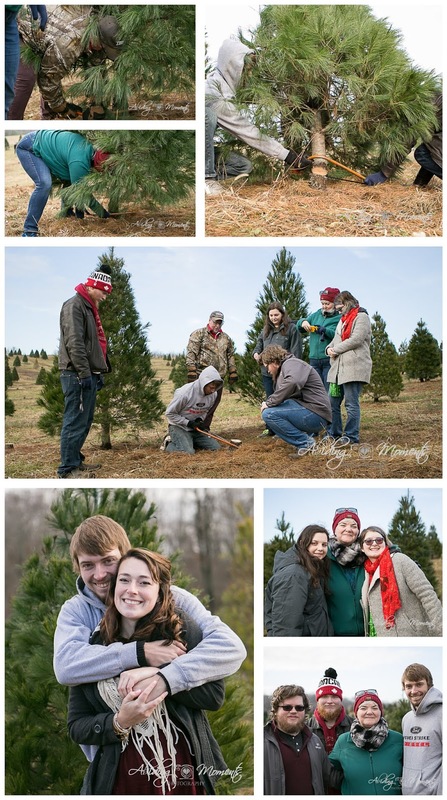 If you have ever gone hunting for a live Christmas tree though, you know you can't just take the first one you find. There's no fun in that. So off the crew went, dodging mud as best they could, searching high, and then low, for the perfect tree. While there always seems to be a plethora of beautiful choices, like people, they all have their own unique character. We look to find the one that has that sweet balance between the things we most want and the flaws that we can handle. 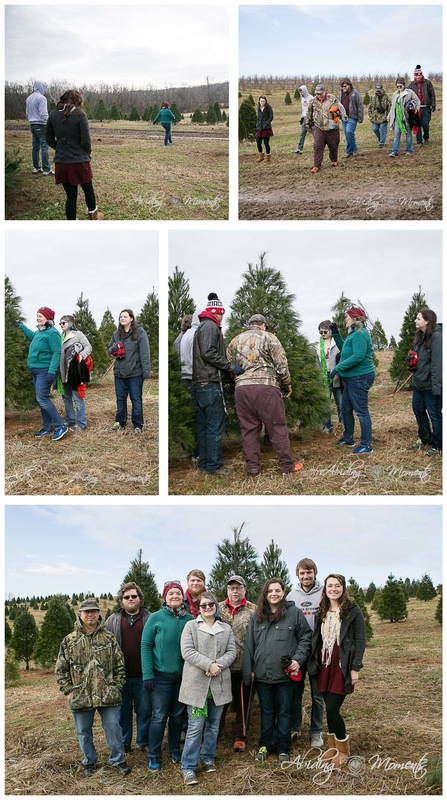 As everyone searched, it came down to two and the debate began for which was the better tree. No one likes to lose, so as Kim broke down the cost per child, cash came out to defend the tree of their choosing. 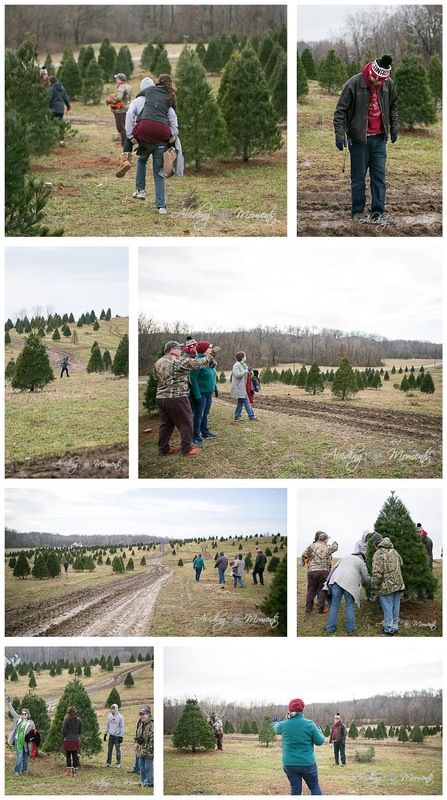 In the end, all the bidding kicked Momma into high gear and had her on her own pursuit to find a tree a family of 7 could agree with. I loved that not a single adult in the group questioned following her. And that all of them agreed to her decision. Which her husband later showed me was the perfect fit for their house, family, and ornaments. 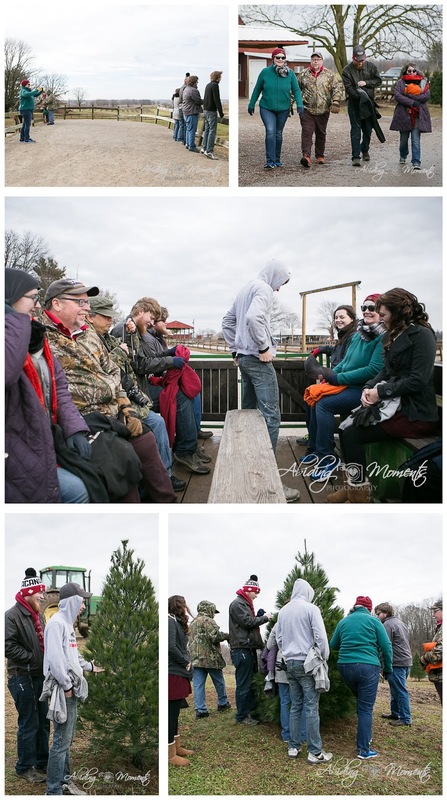 Lots of people jumped in to to take a turn cutting, and when they were finished, something beautiful happened. One of their daughters wanted the bottom piece of the trunk, so the boys worked together to take care of her. I loved watching their core come together for her. As things began to round down, we took a minute to shot a couple of portraits. There are moments in your life where it hits you how blessed your life is and how your other half, the person you chose, is at the root of all that. I watched as Kim, after moving from a picture with her girls, to a picture with her boys, made a sweet step towards her husband in that realization. The group then loaded up to head back. Our final stop for lunch at the family's favorite place was the perfect way to polish off this afternoon hanging out - even if a meal might have been forgotten in the ordering for 9 people. 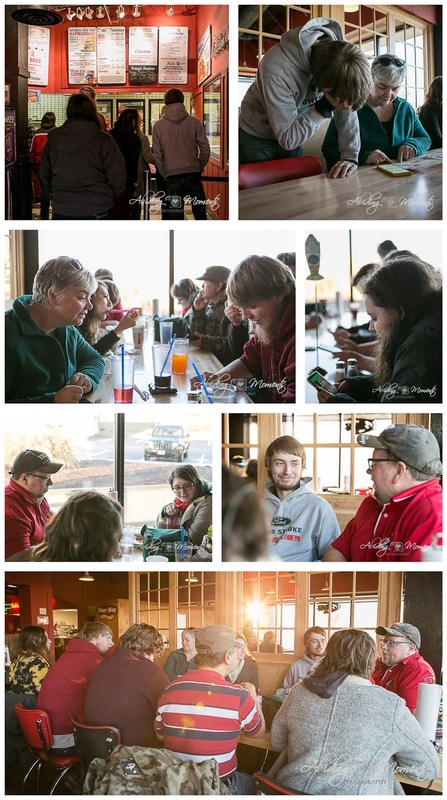 It was wonderful to see them all just talking and spending time together. I hope this holiday season finds you able to embrace life and the people around you for all God has given you. Remember that the days are long, but the years are short and there is true beauty to be found in every one of your days. 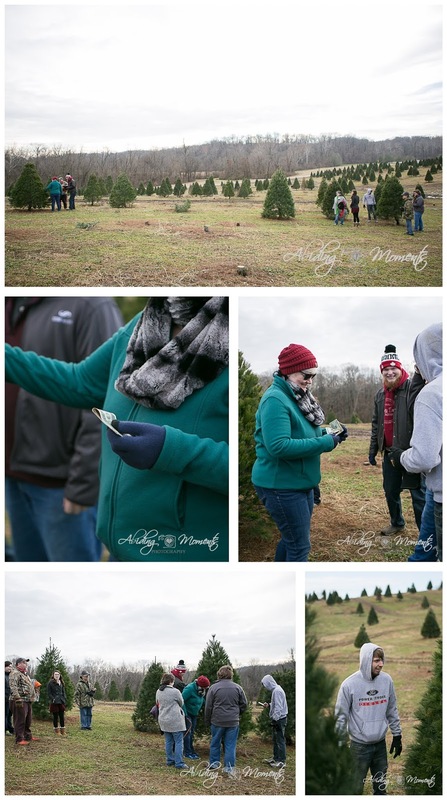 All images & text copyright Melissa Kayser & Abiding Moments Photography, LLC. Simple theme. Theme images by merrymoonmary. Powered by Blogger.